Passed away, peacefully at the John M. Parrott Centre in Napanee on Monday, April 16, 2018. Vera Naomi Woodcock of Napanee at age 93. Beloved wife of the late Lorne Woodcock and dear mother of Barry (Karen); Margaret Andrews (Doug); Lorraine Aylsworth of Kingston; and Marilyn Smoke (Gord) of Millbrook and mother-in-law to Pat Woodcock of Napanee and friend of the late Jamie Babcock. Sadly missed by 11 grandchildren 15 great-grandchildren and 1 great-great grandchild. Sister of June Hicks of Napanee; Florence Fisher (Ossie) of Kingston; Helen Langille (Laurie) of Seeley's Bay and the late Mack and Ruby. 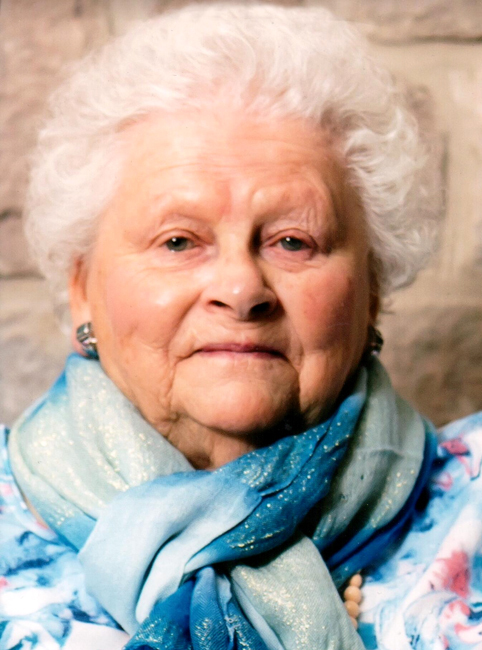 The family will receive friends at the HANNAH FUNERAL HOME in Napanee, at 123 Dundas Street West (613-354-3341) on Thursday, April 19 from 9:30 a.m., followed by Service in the Chapel at 11:30 a.m. Interment Riverview Cemetery. Memorial donations by cheque or credit card made to the Heart and Stroke Foundation or the Diabetes Association would be appreciated by the family.